During our time as members of the Student Government Association at Marist, one administration adopted a common adage as their motto, "actions speak louder than words." Indeed, we expect you will be no stranger to this concept, as many of our past guests have expressed their strategies for bringing these words to life through their activities, roles, and pursuits. This week, we have, perhaps, our best example yet. This week's Guest Interview will be notably different from past episodes, because its subject is currently halfway around the world embarking on an expedition throughout Asia that will keep him and his partner in this journey moving from sun up 'til sun down. Fortunately, we were able to touch base with Mike before they set out, and he was kind enough to provide us with three fun, unknown facts to help introduce the person behind the piece. More importantly, we wanted to also take this opportunity to share more information about the cause behind it. My first ever car was a Champagne color 2001 Buick Century Granny Car with the bench seat in the front, that was given to me by my grandmother. It was my absolute favorite car and still is. That car was famous. I don't think anyone's ever seen a granny car with tinted windows. This week, Mike reminded us that the "right" path is not always along the safest or easiest road we come across. More often than not, the way is crowded with risk and uncertainty. To learn more about Mike's own journey in facing these obstacles by living in the moment, check out his guest piece. 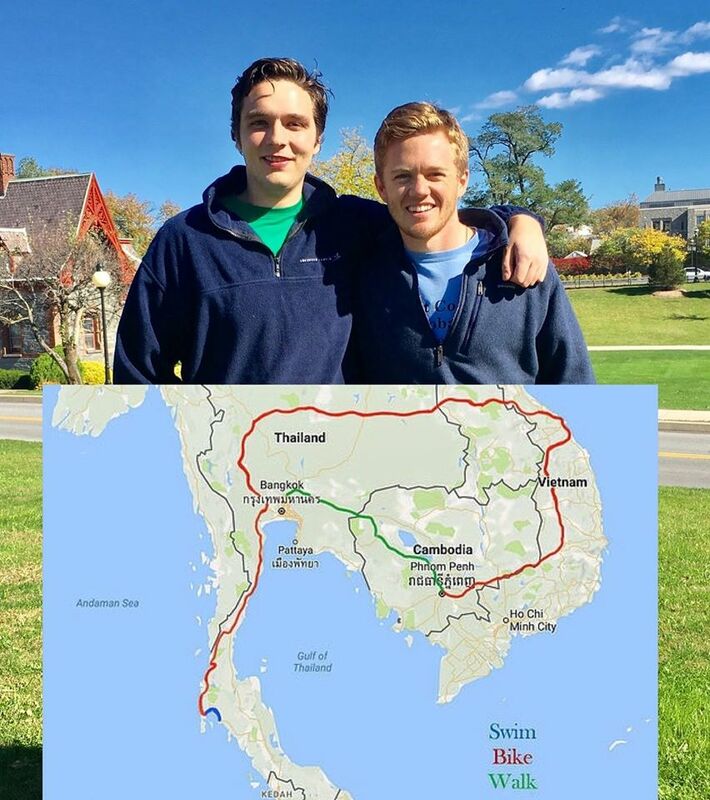 The JourneyForWater is a 2,000+ mile trek by Mike and his friend, John, through South East Asia in an effort to raise $15,000, to bring safe drinking water to communities in need.